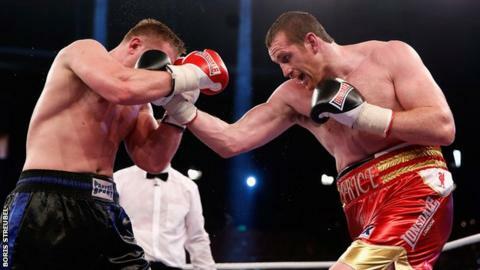 Professionals boxers should not be allowed to compete in the Rio Olympics, says David Price, a super-heavyweight bronze medallist in Beijing in 2008. "It would end Olympic boxing as we know it," said Price, who has held British and Commonwealth heavyweight titles during his time as a professional. The Merseyside fighter, 32, added that the proposal to introduce professionals in time for Rio 2016 was "far-fetched". "Qualifying has become so complicated, I don't see how it can work." Price said amateur boxing had already changed markedly since his days, with lines blurring between the amateur and professional ranks in competitions such as World Series Boxing and the Aiba Pro, and the traditional amateur ranks, now known as 'Olympic-style'. And he urged caution over the integration of fully licensed professionals into the Games. "If they're going to bring it in, it would have to be over a period of time, not rush it in for this year," he said. Dr Ching-Kuo Wu, president of world boxing's governing body AIBA, said on Wednesday that he wanted to abolish rules stopping any fighter with 15 or more paid bouts from competing. His proposal needs to be approved by the AIBA's executive committee, but Wu said: "We want something to change... not after four years, but now." Carl Frampton, super-bantamweight, IBF world champion: "The amateurs at the moment are pretty much professionals. The established governing bodies are entitled to say: 'If you guys are fighting as pros, why can't our pro boxers enter the Olympics?' They have a justified point." Charlie Edwards, flyweight, English champion: "I think it's a bit of a joke. The likes of Floyd Mayweather and Manny Pacquiao aren't going to fight for peanuts." Josh Taylor, light-welterweight, 2014 Commonwealth Games champion: "You've got people who have been in the GB squad for years, and their focus is to get to the Olympics. So it would be so unfair to choose a professional fighter over one of them. It's a stupid idea." Scott Fitzgerald, welterweight, 2014 Commonwealth Games champion: "It could spell the end of amateur boxing. If this goes through, why would anyone stay amateur?"